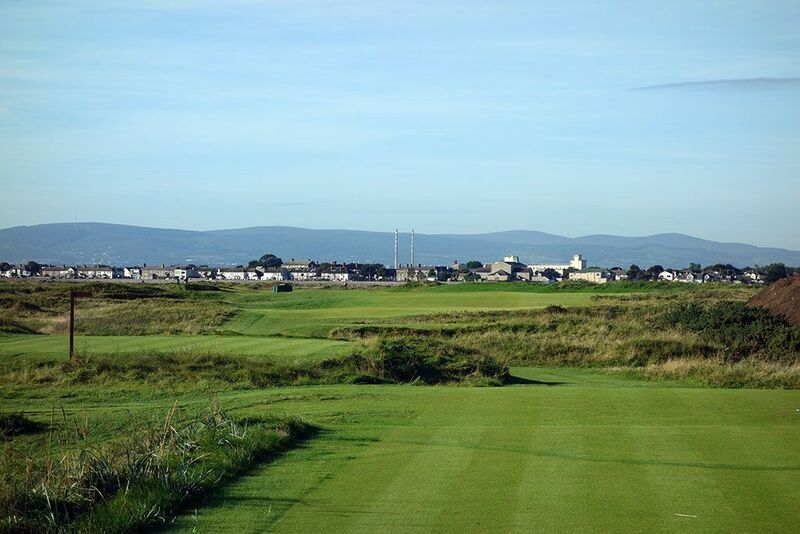 Course Website: Official Website - Visit Portmarnock Golf Club (Championship/Old)'s official website by clicking on the link provided. Accolades: Ranked 16th in Ireland by Golf Course Gurus. What to Expect: Located 10 miles northeast of Ireland's capital on a narrow strip of low-lying duneland, Portmarnock has long been considered Dublin's crown jewel. 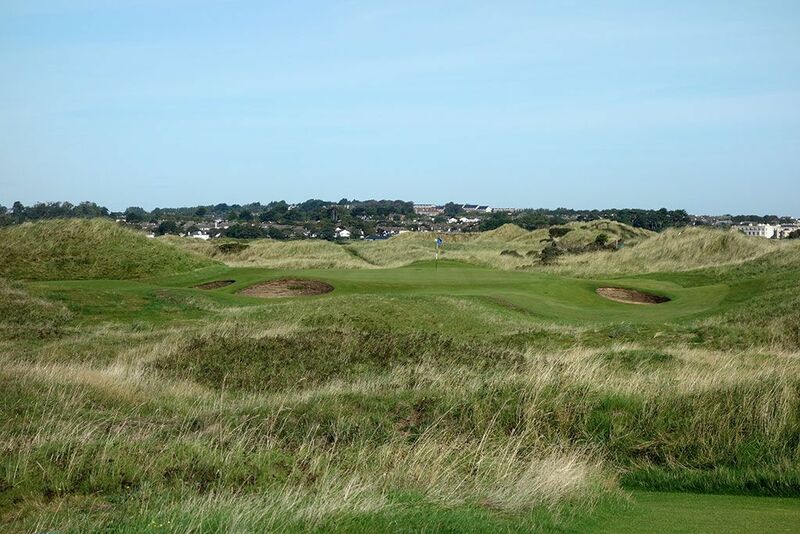 An old school club, Portmarnock features some of the deepest history and strictest rules you will find in Ireland (don't forget to change into dress shoes when you grab something to eat in the dining area). While the flat terrain reduces some of the appeal and intrigue of the layout, it does make for an easy walk which is made easier when you choose to employ to carry your bag. Despite the tame terrain, there are some dunes that create some character and one or two blind shots. The fairways play firm and fast and the greens roll with absolute perfection which creates the best conditioned course in greater Dublin. On a map the peninsula location looks as if there would be Irish Sea views throughout the round but that visual exposure is limited with the only full on experience with the water coming on the par three 15th. 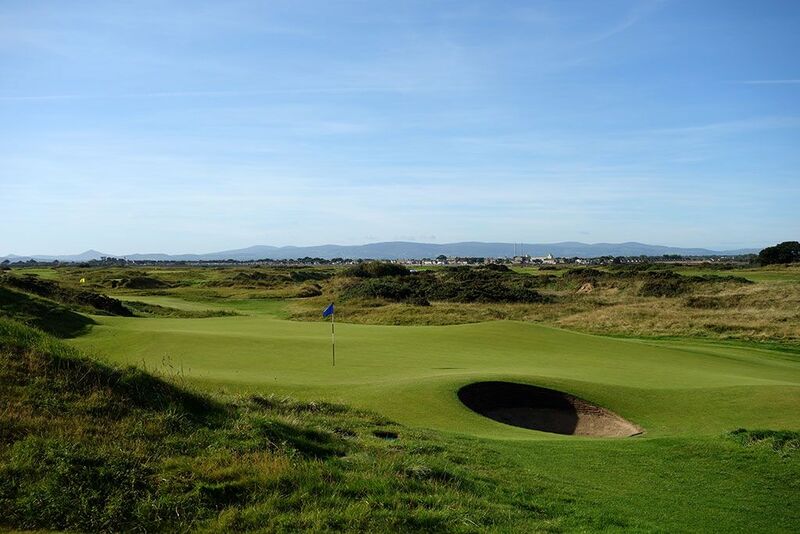 This peninsula location offers high vulnerability to the winds that can come swirling in at multiple directions and give players a full Irish links experience. As a side note, this course is not to be confused with the 100 year younger Bernhard Langer layout, Portmarnock Golf Links, which is located just north of this club and associated with Portmarnock Hotel. Signature Hole: 15th Hole – 204 Yard Par 3 – The coastal 15th stands out as Portmarnock's signature hole and is a great test. Tee balls sailing right will find the beach and present a par save attempt that you don't want anything to do with. You'll need to stay out of the trifecta of bunkers defending this green that is twice as long as it is wide. 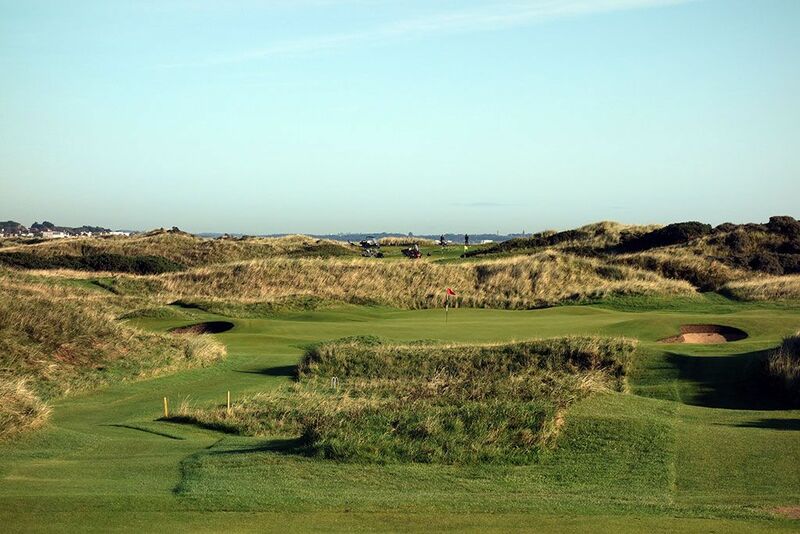 The best views of the ocean at Portmarnock are found on this iconic Irish hole. 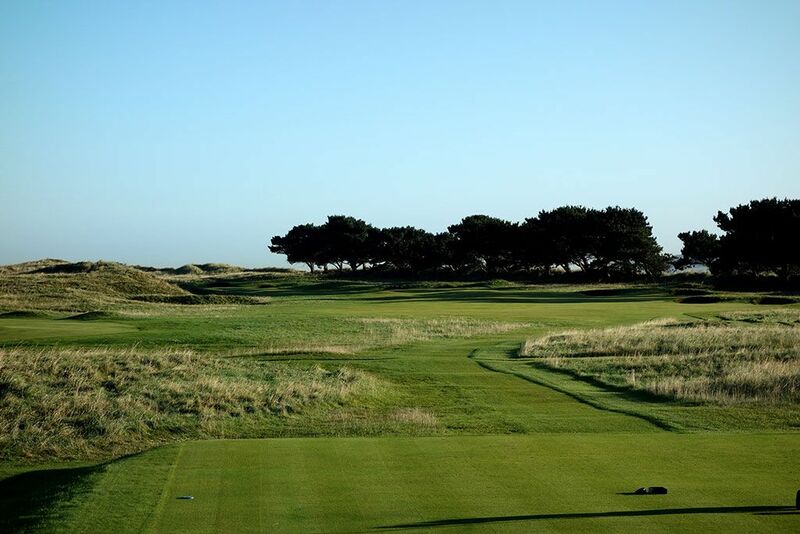 Best Par 3: 12th Hole – 177 Yards – The par three 12th plays east directly towards the ocean and often into the wind. 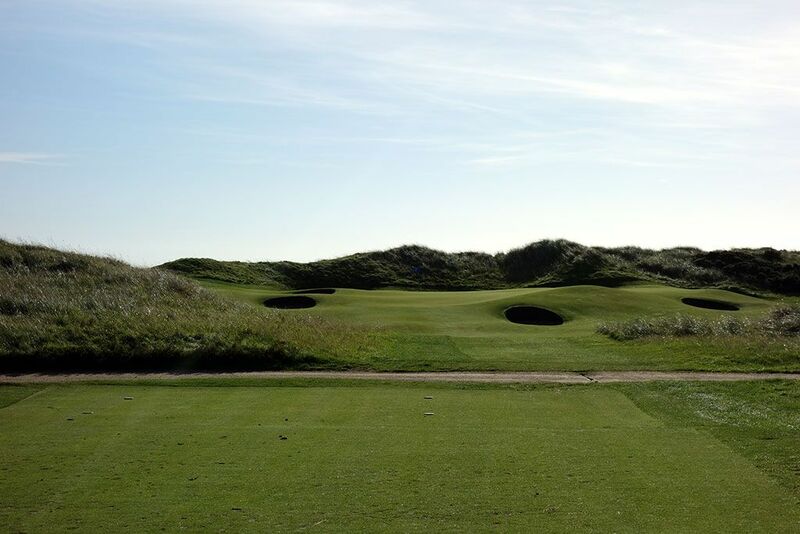 Four saucer shaped bunkers surround the putting surface while a dune creates the backdrop and makes this hole one of the more visually appealing offerings at Portmarnock. Up and downs are difficult around this green, so aiming for the middle of the putting surface is sound advice no matter where the flag is. Best Par 4: 8th Hole – 427 Yards – You'll want to use the two chimneys in the distance as an aiming point on this slight dogleg left to achieve the best line for your approach shot. The green features a pot bunker short left and sloping edges off the green. The large chipping bowl right of the green is an appealing feature that presents a variety of options when trying to get up and down. 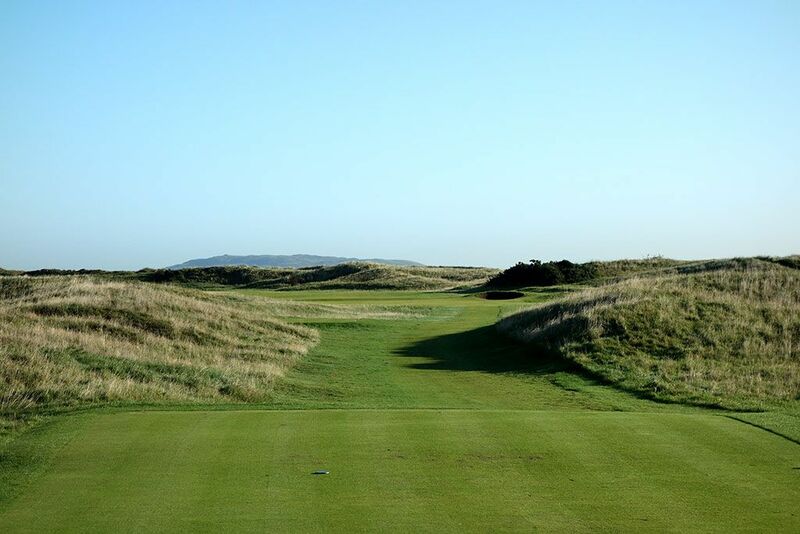 Best Par 5: 6th Hole – 603 Yards – Portmarnock is the epitome of a championship golf course with solid holes strung together throughout the routing. The 6th is one of these great tests and a true three shot hole for everyone except the super human or player enjoying a tailwind. 285 yards from the back tee is a fairway bunker on the right side while a pond comes into play on the left just 130 yards from the green and is anxious to claim wayward second shots. 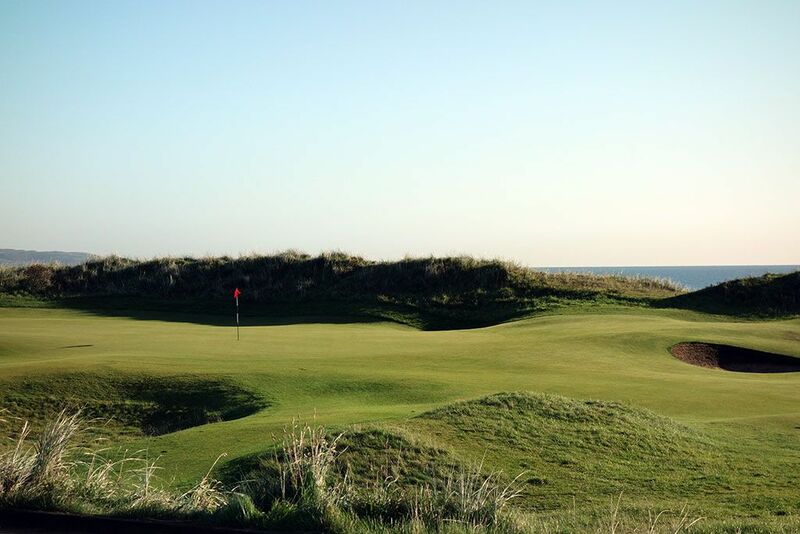 The hole plays north-northeasterly and finishes at a greensite where a lone dune separates the putting surface from the ocean. Birdie Time: 7th Hole – 184 Yard Par 3 – This attractive one-shotter plays to a large green with 43 yards of depth. This type of forgiveness greatly increases your chance at a green in regulation which lends to a good birdie opportunity. The undulated putting surface can be tough to navigate, but sometimes the swells help move your ball closer to the hole on tee shots. 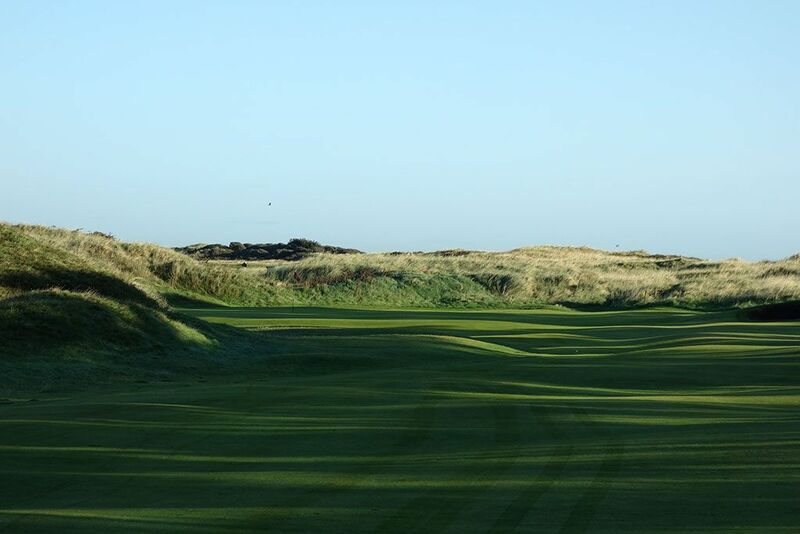 The par threes at Portmarnock are one of her finer features as you'll see when arriving at this fine hole. Bogey Beware: 4th Hole – 474 Yard Par 4 – Bunkering runs in pairs on the lengthy 4th hole with four sets shaping the right side. In addition, a row of trees separates the ocean from the fairway while dunes frame the left. After needing to thread your drive you'll be faced with a demanding approach shot where the best angle is from the right which is also where the most trouble is. 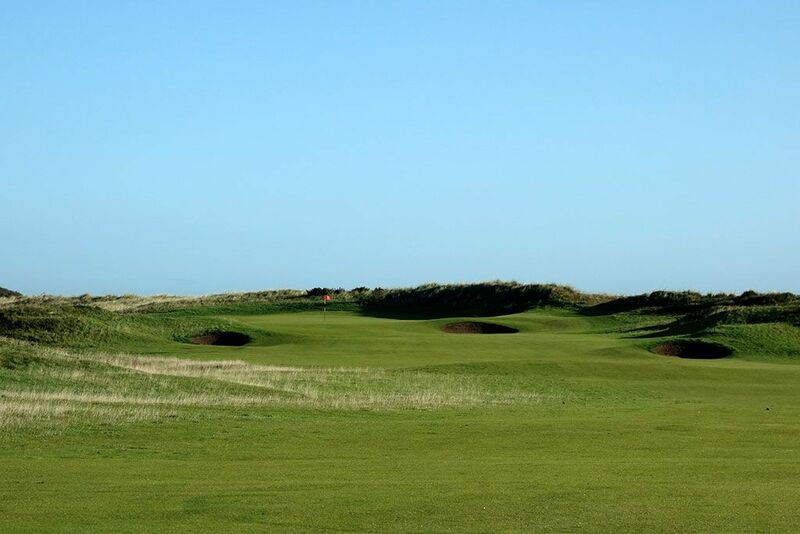 A small entrance to the green exists on the right between the dunes and the bunkers that is receptive to a ground game shot from only the most skilled and accurate of players. 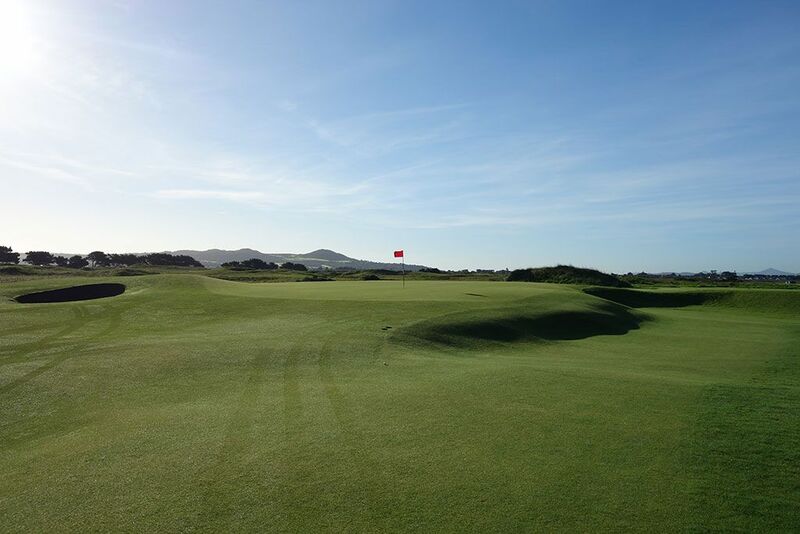 This is a very difficult green to reach in regulation and sets the tone for the challenge Portmarnock is capable of.